You’re ready to hit the trail, but where do you begin? There so many are different types of bikes, various frame materials, suspension and wheels sizes. No two mountain bikes are created equal. But that’s good news because you can find exactly what works for you and compliments the terrain you intend to ride. Before you start shredding singletrack, let’s walk through what you need to consider to find the perfect mountain bike for you. Mountain bikes are quite versatile and conducive to all sorts of riding. They’re great for ripping through trails, exploring mountains, and even commuting. Mountain bikes under $1,000.00 are usually hardtails. This means they only have suspension on the front wheel. They come predominately in two wheel sizes: 27.5” and 29”. 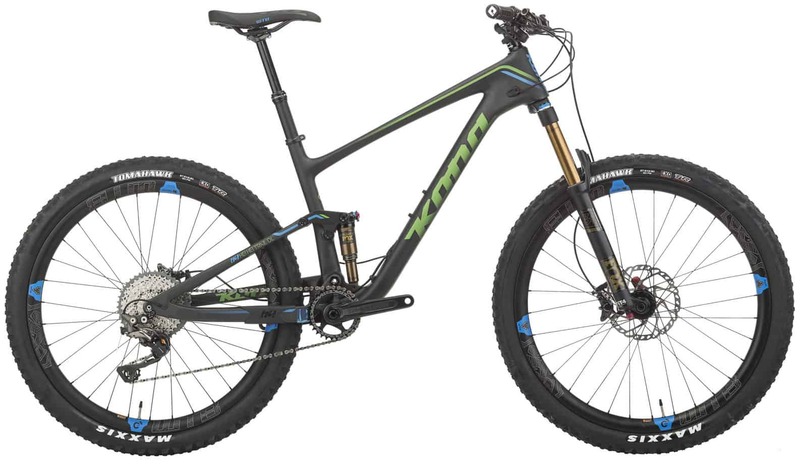 While more expensive mountain bikes will offer more options in terms of weight, frame materials, suspension and components, spending $1,000 is a great way to score an entry level mountain bike and get a taste of riding knobby tires. Here are some of the best bikes you can find for under $1,000.